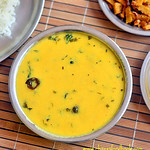 Mor kuzhambu ( Vegetarian buttermilk gravy in English) is our family favorite kuzhambu varieties for rice. Usually I follow my MIL’s or MOM’s recipe. But sometimes I make this easy mor kuzhambu recipe when I have to cook for myself and Raksha as Sendhil is not fond of this version. Its a very simple, no grind mor kuzhambu recipe without coconut. 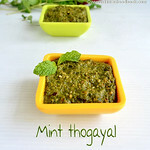 I started making this by following Revathy Shanmugam mam’s recipe from Aval vikatan supplementary issue. But then I made some changes and making it in my own way! I won’t say this one tastes so good like authentic more kuzhambu. But this recipe is surely a quick fix for bachelors & working women who wants to whip up a gravy within 10 minutes for lunch or dinner after coming back from office. 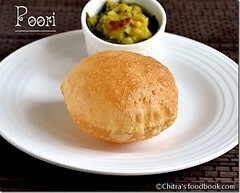 It tastes great with fried papad and potato fry or brinjal roast. I served it with yam fry. 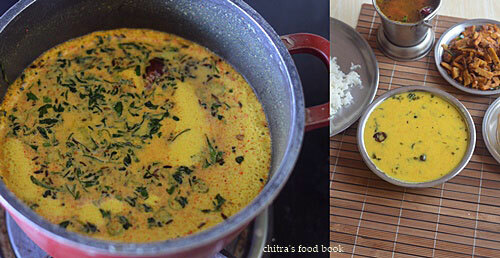 The taste of this kuzhambu reminds me North Indian style Dahi kadhi slightly. 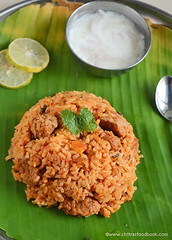 This kulambu can be prepared with or without vegetables.Sometimes I add fried manathakkali or sundakkai vathal too. 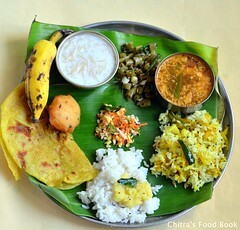 If you wish to add vegetables, you can add cooked lady’s finger (Vendakkai) or pumpkin( Poosanikai in Tamil). 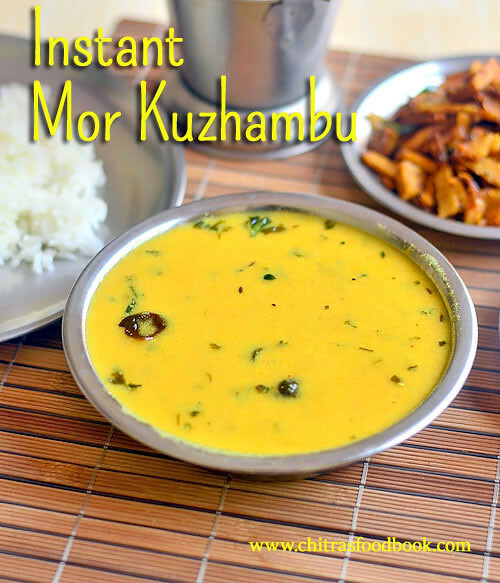 Do try this easy, Instant mor kuzhambu recipe and let me know your feedback ! 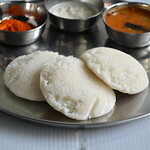 Lets see how to make South Indian style Mor Kuzhambu with step by step photos. 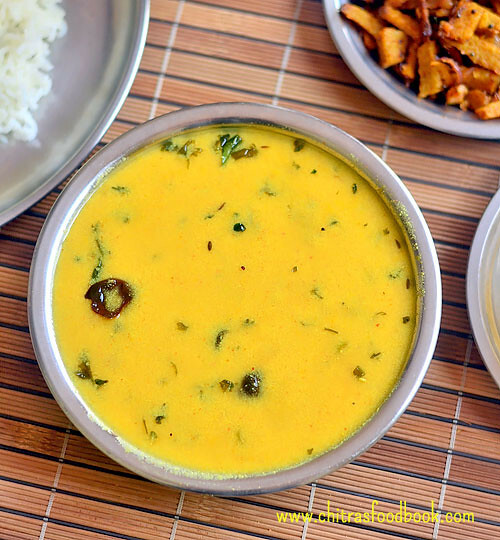 Easy, Instant mor kuzhambu recipe without coconut and vegetables - Bachelors style recipe ! In a wide bowl, take the sour curd(Curd should not be too sour. If its too sour, you should add more red chilli powder & green chilli). Add 1 cup water, turmeric powder, red chilli powder, besan flour and salt. 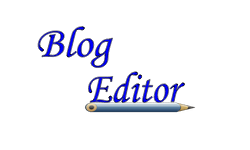 Whisk well without lumps. Heat oil in a kadai, splutter mustard, methi seeds, cumin seeds, urad dal and pinched red chilli.Add finely chopped green chilli, ginger pieces, half of the chopped coriander leaves and finely chopped onion ( optional) if using. Saute for a minute. Add few curry leaves, hing and saute well. Add the sauteed spices to the whisked buttermilk mixture. Mix well and check for taste. Add more chilli powder or slit green chilli for more spicy taste. Keep the flame medium and let the gravy starts to boil with froth.Do not let it roll boil. Stir it once in the middle and boil till frothy. Stay nearby. It takes just 5 minutes. After its frothy, switch off the flame. Mix well gently and remove from the stove. Garnish with coriander leaves. Give a standing time of 15 to 30 minutes to enjoy its best taste. Enjoy mixing with plain rice adding a tsp of ghee for extra taste! 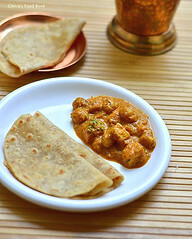 Keep some roasted papad and potato curry as side dish. Tastes yummy !! Adjust the quantity of green chilli as per the spiciness you need. 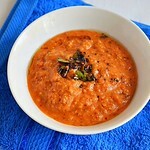 If you wish, u can skip green chilli and use red chilli powder or sambar powder.Flavor varies. You can add ajwain/Omam instead of cumin seeds. Again flavor will change. 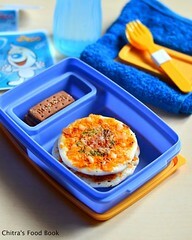 Do not forget to add coriander leaves. It enhances the taste of this gravy. 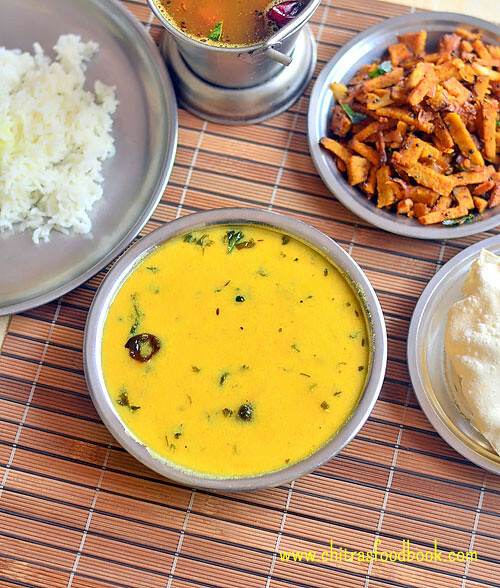 Try this simple, no grind, instant mor kuzhambu recipe for your lunch and enjoy just with a roasted papad or potato curry ! 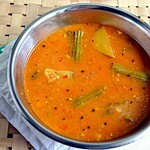 Mor Kulambu is my favorite curry in the south Indian Cuisine. Very simple cooking steps, but the taste is awesome with rice.